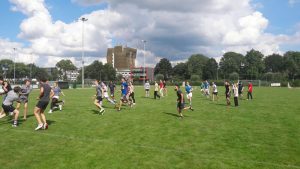 The Groninger Studenten Rugby Club is a one of a kind. 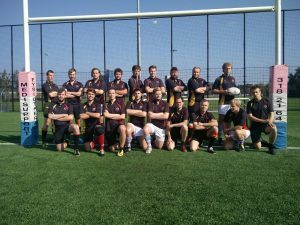 The combination of our long history (we were founded in 1986) and the fact that we are the only student rugby club in the northern Netherlands makes us unique. We understand that being a student means more than just studying, and that is what the GSRC is all about. Maybe you did, or maybe you didn't play rugby before, at the GSRC that doesn't matter. The GSRC is for everyone and will make your time in Groningen worthwhile! Are you a student who wants to play one of the most intense sports on the planet and experience the rugby life? Than send a mail to the board via bestuur@gsrc.nl or simply search for us on Facebook! If you want to join us for a training session, feel free to join us on Tuesday (18.00 - 20.00) or Thursday (20.00 - 22.00) at Sportpark Corpus den Hoorn. Jack to learn about his experience at the G.S.R.C. 1) Why did you join the G.S.R.C. for half a year? 2) How did you find/hear about us? and received a message a couple days later. 3) What did you think of the rugby level at the G.S.R.C.? 4) What do you think about the atmosphere at the G.S.R.C.? 5) Was it combinable with studying? 6) What did you enjoy most at the G.S.R.C.? 7) What did you not like at the G.S.R.C.? 8) Would you recommend joining the G.S.R.C.? Every year during the month of November, awareness is being raised for the devastating disease of prostate cancer. 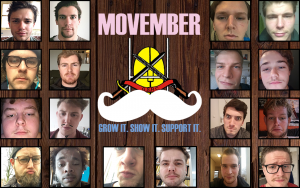 Many men around the world grow out their moustaches for Movember and so too does the G.S.R.C. 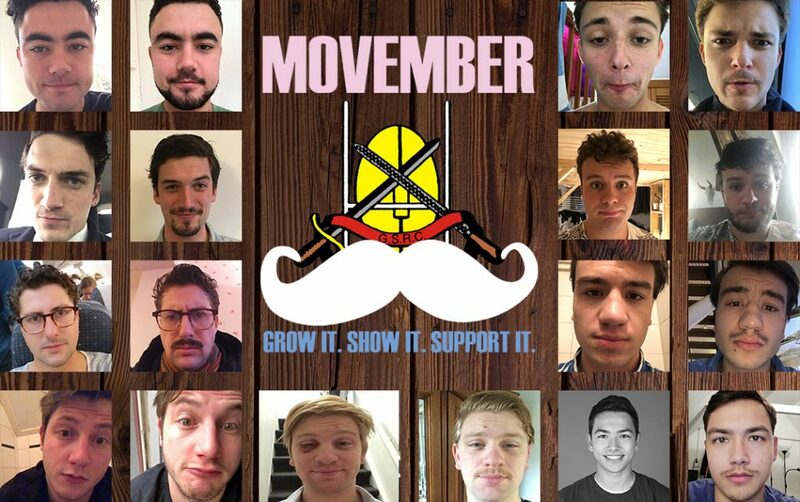 Thanks to these lads yet again a great sum of money was collected and donated to further research into prostate cancer. Above a small overview of this years’ results! Last Friday the G.S.R.C. 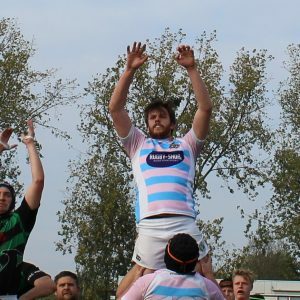 Jonghe Honden traveled to the capital of our country for their first competition match against ASRV Ascrum. A beautiful match followed, in which both teams showed amazing passion on the field. Sadly we had to leave the points in Amsterdam as the final score was 45 – 26. 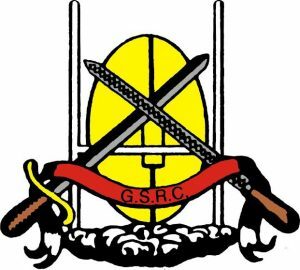 G.S.R.C. 1 takes the shared first place in the league! 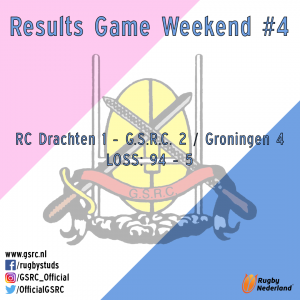 This sunday saw play from both the first and second teams. Sadly, the seccies had to take a tough punishment from the Burgers’ third team. Even though the match saw some good phases of play from the seccies, the Burgers were very much too strong, ending the match at 0 – 89. Luckily, many Burgers fell in the third half, showing some other qualities of the Studs. Luckily, the flagship of the G.S.R.C. played an incredible game. After being up 7 – 19 after the first half, the Studs steamed onto a 7 – 61 away win against DRC Phoenix. Loads of lads managed to score tries and Cormac snagged the Man of the Match title. The first team comes out on top whilst the second team played a great second half! Last Sunday featured home matches for both the first team and the seccies together with the Burgers. 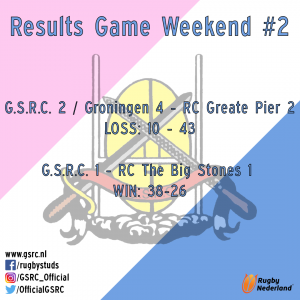 The seccies kicked off at 13.00h where they faced a physically strong RC Greate Pier 2. After being down by many tries at half time, they bounced back to play a strong second half, showing great skill and potential from the studs. Afterwards, the first team kicked off at 14.30h featuring a great line-up including new lads and returning players. After a first half where the game could go in any direction, with both teams grabbing the lead, the studs returned to the field for a strong second half. Sadly Jan had to leave the field injured, but the studs came out on top, earning a well-desired second place in the league! 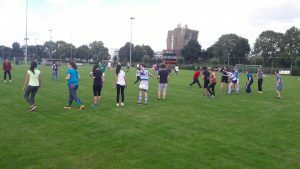 The studs were present at ESN meets ACLO to show the new international students what rugby is about and what we can offer them! We had a great time and met fun people, we hope to see you at training sessions and matches! A small reminder: the season starts on September 10th, so drop by before then to get some pre-season training in! 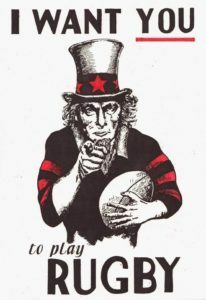 The Groninger Studenten Rugby Club is searching for new players and we want you to join! We are proud to be the only student rugby team in the north, and yet still one of the best! We understand that studying sometimes comes first, but every man needs a time out for sport and beers. 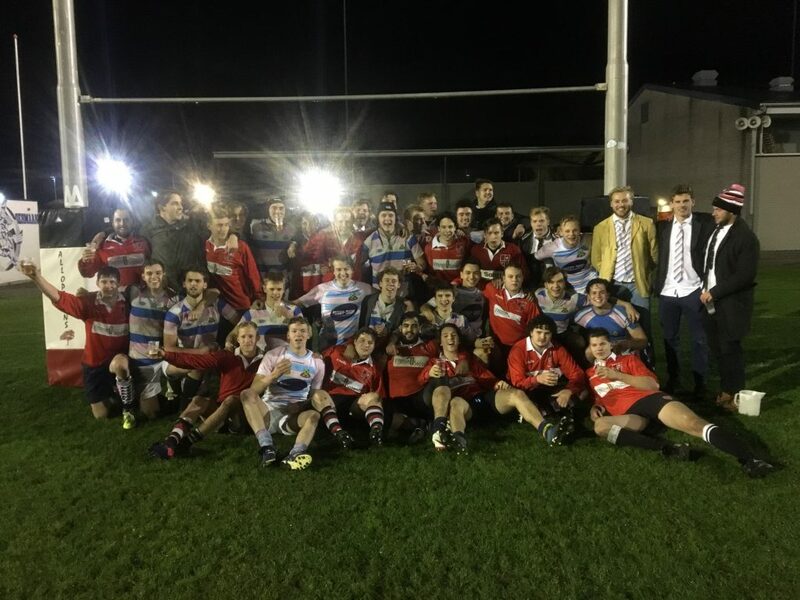 Rugby is a great sport for releasing the frustrations of studying, and rugby social nights are another perfect break from school. Surround yourself with a new sport, lifelong friends and play rugby with the rugby studs, the best guys in the best sport in the world! Sunday is a rugby day! Last Sunday the men of the GSRC made this true again. The second team made a good effort against the leader of the league, but lost with 17-50. 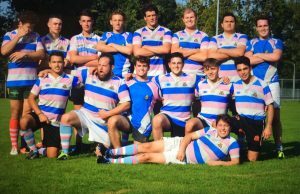 The first team finished their season strong with a win of 80-0 against RC Wild Rovers. Thanks to Jurrien Perdok we have some awesome photos to remember this game. Here you can find when and where the next game will be held. Come and look at one of our games and see the greatest club play! Here you can find information about the GSRC board members. They are responsible for keeping our club awesome! Here you can find information about the Ascot Manor II, training sessions and renting the manor. The best place to play the thirth half! Making hockey chicks forget about their sticks since 1986.